Rael’s organic cotton Non-Applicator Tampons feature a soft rounded tip for comfortable insertion and expand width-wise for reliable leak protection. Pack contains 18 tampons. Rael launched in 2017 with a mission to provide natural and organic feminine care products that don’t sacrifice comfort or functionality. 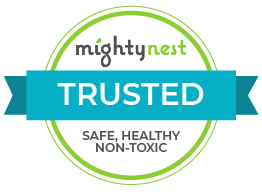 As a company, we are centered around quality, performance and convenience, and as a brand, our vision is to empower and inform women with safer, healthier alternatives for their bodies. Rael was founded in Southern California by entrepreneurs with distinct backgrounds: Aness, a journalist and bestselling author; Yanghee, an international movie distributor at The Walt Disney Studios with a Harvard MBA; and Binna, an architect-turned-art director. Created for women, by women who are committed to sourcing the highest quality ingredients, continuing product innovation and offering easy access around the world. Major brands use chemical processes to manufacture their pads, liners and tampons. These harmful practices are what make conventional products absorbent and reliable, even if toxic. We’re here to change that. Not only are Rael pads and liners made with 100% certified organic cotton, they’re comfortable—and they work. Here’s how we do it: *Our cotton is sourced from Texas, known for its safe, clean labor and integrity of the farmers who carefully pick each bale. *The cotton is packaged and sent to our laboratory in South Korea, known for having one of the safest feminine care practices in the world. *The material is transformed and packaged into pads and liners in an open, sterile environment. *Our pads and liners are shipped back to sunny California, where our team is located, to be distributed to customers.